Sports and physical activity groups in Powys are being urged to take advantage of a grant worth up to £1,500 to help contribute to creating new or thriving clubs which will continue to create opportunities for people throughout Powys. With over £80,000 available for this financial year, Powys County Council are urging organisations to submit applications so they don’t miss out on the grant. 3) To further such other exclusively charitable purposes. Grants are awarded for capital projects only. On-going running costs such as salaries are not supported. Successful applicants may not apply for a further three years. In general, the Trust awards more grants for charities working with the elderly. Equine welfare grants are normally only considered from charities that are members of the National Equine Welfare Council (NEWC) or charities that are proactively working towards membership of NEWC. The Trustees generally meet twice a year in the spring and the autumn to consider grant applications. The next application deadline is Thursday 13 April 2017. Further details and application forms are available on the Trust’s website. Please find below English and Welsh links to a survey being run by the Future Generations Commissioner, Sophie Howe on issues and challenges facing Wales in the future. 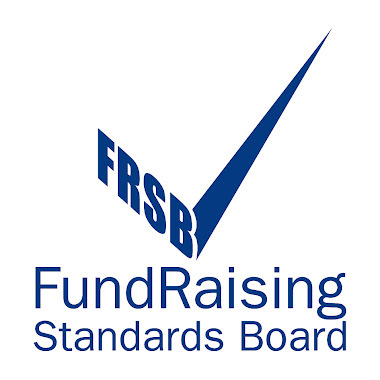 The Fundraising Regulator is responsible for regulating charitable fundraising in England and Wales. They will be joining WCVA in Cardiff on the 7th April to discuss the consultation currently open for proposed changes to the Code of Fundraising Practice. The Code sets out the standards expected of all charitable fundraising practices across the UK; by maintaining the Code to accurately reflect the current issues facing the charity sector, we can ensure that fundraising is respectful, open, honest and accountable to the public. The Regulator is looking to amend the Code in 8 different areas, including Charity Trustees, Third Parties, The Fundraising Ask and Charity Collection Bags. Gerald Oppenheim, Head of Policy and Communications at the Fundraising Regulator, will discuss all consultation themes in detail before taking questions from attendees during a 30 minute Q&A session. Martin Price, Chair of the Institute of Fundraising Wales will chair the event. For more information on the consultation visit the Fundraising Regulator website. Thinking about applying to People & Places? Read on! Comic Relief Community Cash Grants of £500-£1,000 are available to small organisations working with the most vulnerable and disadvantaged people in local areas, helping them feel more included in their community, build their skills and increase their sense of achievement. o Provide clear evidence that the activities provided will target people who would ordinarily struggle to access those opportunities. o Set up costs for new groups. o Fund building costs, including access adaptations to buildings. o National organisations, unless the application is submitted by a local office with a separate management committee, bank account and governing document. The majority of UK Community Foundations are opening the Comic Relief Community Cash Grants to application, with a common deadline of Friday 5 May. Full details about a specific area, including the application deadline, can be found on the website of each individual Community Foundation. A list of the Community Foundations across the UK can be found on the UK Community Foundations website. o Victims of slavery and human trafficking. o Empowering young people not in education, employment or training (NEETs), or marginalised adults, to engage with education or training. Restoring neglected buildings and monuments which can contribute to community regeneration, particularly in areas of deprivation. The Swire Charitable Trust would especially like to hear from smaller heritage charities that focus on providing employment or volunteering opportunities for the local community – and contribute to the regeneration of the area. There is no maximum or minimum grant size. Grant awards are normally for one-year only and based on the amount requested and the size of organisation. Multi-year grants are considered where there is a proven need. During the year ending 31 December 2015, the Trust made donations and grants to 192 organisations totalling £3,772,490 (2014 - £2,696,893). Awards ranged from £1,000 to £350,000. There’s a reasonably long list of things the Trust won't fund which are clearly listed on its website (see link below). The Trust has a single form for all three programmes. There are no deadlines or closing dates – applications are welcomed at any time. Applications must be made via the Swire Charitable Trust’s website and will not be accepted by post or email. PLEASE NOTE that only registered charities may apply. Five projects across ITV Wales have been chosen to compete in a public vote for up to £50,000 of National Lottery funding to support their local communities. The Big Lottery Fund, ITV and The National Lottery have teamed up to give the public the chance to decide how £3 million of National Lottery funding can make a difference in their area. The People’s Projects is an opportunity to celebrate some of the incredible projects the Big Lottery Fund has supported over the past year. With 95 shortlisted across the UK, the public can now decide which groups should win up to £50,000 to develop their project further. The three projects with the most public votes in each region will receive grants of up to £50,000. Voting opens at 9am on Monday 20 March at www.thepeoplesprojects.org.uk. o The advancement of the arts, culture, heritage and science. Other charitable causes are also supported at the Foundation's discretion. During the year ending 31 December 2015, the Foundation’s expenditure in support of its charitable objectives totalled £265,273 (2014: £159,928). The Foundation does not provide a minimum or maximum grant award level. Applications from individuals are not supported. (2) Encouraging and developing leadership amongst young people and supporting disadvantaged young people and those who are frail or lonely through old age and disability”. o Promoting the understanding of the values, traditions and practices of the Christian faith, from a perspective that respects those of all faiths and those of none. The Foundation allocated almost £5,000,000 in support of its charitable objectives during the year ending 31 December 2015 through a number of initiatives, one of which was its "Pebbles Small Grant Programme". o A one-off short term activity, such as an annual respite break or holiday for disadvantaged young people. No minimum of maximum grant levels are available. However, potential applicants should note that this is a small grants programme. Grants are available for projects which are costed at under £1 million. Organisations must have an annual income of less than £500,000 and are expected to have confirmed funding to the value of 33% of the total project cost. o Areas that are under the provision of state aid, such as medical requirements. Applications may be submitted at any time via the application form available on the Foundation’s website. PAVO has received feedback that Children in Need is tightening up significantly around safeguarding and their expectations of organisations who apply for funding. We are aware of an organisation that was turned down for funding because they had not had training (this included the Board) although they had policies and procedures in place for safeguarding. If your are considering applying to Children in Need for funding, you are advised to check the Fund's guidance for applicants which sets out Children in Need's requirements, see: http://downloads.bbc.co.uk/tv/pudsey/A-to-Z-advice.pdf The guidance includes an expectation that applicants will be able to demonstrate that they: "ensure all staff, volunteers and management committee members receive safeguarding children training which is relevant to their role and updated on a regular basis". The Garrick Charitable Trust aims to encourage theatre, music, literature and dance across the UK. o Helping actors, directors, writers, musicians, composers and choreographers in the early stages of their careers. Grants are normally be in the range of £2,500-£5,000 (the majority of grants are for £2,500) and may be made for more than one year. Organisations that are successful in securing a grant are asked to wait three years before reapplying. o Projects outside the UK. 1. Write a short letter to the Trust, preferably one but no more than two pages and with a publicity flyer if one is available. The letter should be submitted by email with a hard copy sent to the address below. The information to be included in the letter is detailed on the Trust’s website. The Trust will consider the letter at its earliest meeting and decide whether to invite a formal application. 2. If the Trust invites an application it will issue an application form requesting more detailed information about the applicant and their request for grant support. This will be considered at the following Trustee’s meeting. The Trust meets quarterly to consider applications, usually in early March, June, September and December. For further information, visit the Garrick Charitable Trust website. The aim of the course is to provide learners with an understanding of the financial processes and procedures associated with delivering a European funded project. The course will help you to navigate the terminology, audit and verification processes and document retention periods associated with managing a European funded project. The course will take place on 27 April 2017 in Wrexham. 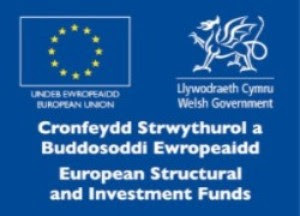 Target group: Staff from third sector organisations who will be involved in the financial management of EU Structural Funds projects, either as a direct sponsor or as a sub-contractor. Cost: It is free to third sector organisations currently delivering or interested in delivering European funded activity. 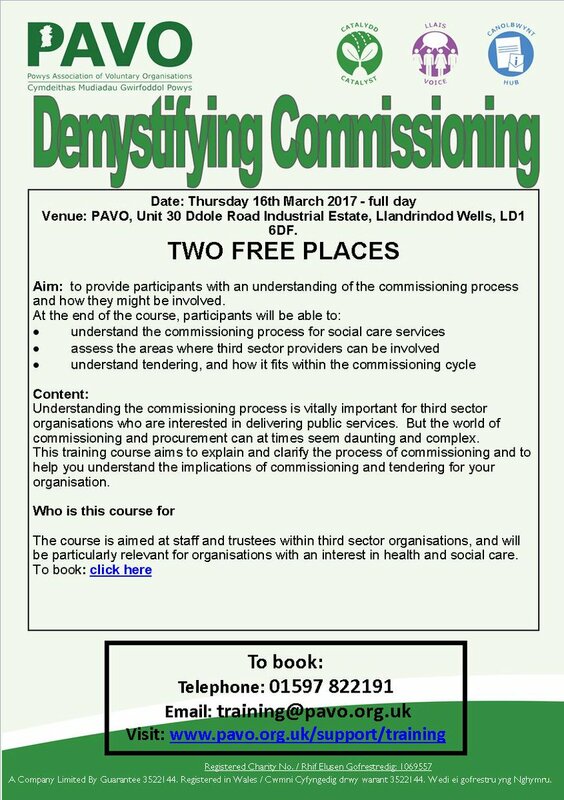 2 FREE PLACES - DEMYSTIFYING COMMISSIONING - TOMORROW!!! We want to hear from local groups and organisations that can do a lot of good with a little extra money. The scheme is aimed at encouraging funding applications from local charities and other organisations supporting community life in and around Brecon which could benefit from a modest grant of up to £500. We intend to be open-minded about the types of activities we will support so long as the project or programme responds to a community need in or within the catchment area of Brecon Rotary Club and meets its criteria on the giving of grants. Are you please able to share this with your members please. The Greggs Foundation offers grants to not-for-profit organisations based in local communities in England, Scotland and Wales to deliver projects or provide equipment to people in need at the heart of their local communities. The Local Community Projects Fund helps not-for-profit organisations based in local communities to deliver projects or provide equipment to people in need at the heart of local communities in England, Scotland and Wales. Preference is likely to be given to local organisations based near a Greggs shop. · Disabled or suffering chronic illness. · Living with other demonstrable significant needs. The funding is for projects that improve resilience within a community of interest and can include sessional activities/respite support, equipment for sessional activities, trips and residential breaks. The Foundation is also interested in new approaches and innovative ideas as well as sustainable approaches to supporting the community of interest. · Improved health and wellbeing. The Local Community Projects Fund is administered by seven charity committees throughout Great Britain. This is a highly competitive grant scheme with only 30% of eligible applicants receiving funding in 2016. There are two funding rounds per year. Please note that the Greggs Foundation is highly over-subscribed and reserves the right to close the application window if it receives more good quality applications than it is able to fund. Groups will be notified if the Foundation is unable to accept applications. The deadline for round two applications is 24 June 2017. The Trust aims to support smaller charities for whom a donation from the Trust will make a real difference in operating activities. The average grants tends to be for between £2,000 and £3,000. Evidence of match funding is sometimes – but not always - required by the Trust. The Trust has a policy of making one-off awards with no guarantees for ongoing funding. During the year ending 5 April 2016 the Trust’s charitable expenditure was £ 94,208. Grants are made on the basis of applications that have been made to the Trust and also charities nominated by Trustees as a result of research undertaken on specific organisations. Applicants are advised to contact the funding provider directly to confirm eligibility. Join us on Wednesday 5 April at 2pm for an informal, interactive session with plenty of opportunities to ask questions. The webinar will be an interactive session with the opportunity to ask questions throughout. We also welcome questions in advance, please send these via email using 3set@wcva.org.uk. If you are unable to watch the webinar live it will be recorded and available on the WCVA website in the days following. If you would like to participate in this session please complete the attached booking form and return to training@wcva.org.uk by Monday 3 April 2017. Peace and Security - The Foundation supports the development of ways of resolving violent conflicts peacefully, and of addressing their underlying causes. Environmental Sustainability - The Foundation supports work that addresses the pressures and conditions that risk global environmental breakdown. The funding is only available for practical projects where they are clearly of a pioneering nature, with potential for influencing UK national policy. Registered charities that are working to influence policy, attitudes and values at a national or international level can apply. These may be single issue groups working to achieve a particular change, or organisations with a broader remit. Particular consideration is given to small pioneering headquarters organisations. The financial support is intended for UK registered charities for whom the grant would represent between 5% and 50% of their annual income (organisations with an annual income of between £10,000 and £300,000 approximately). Organisations or projects that are not UK registered charities will be considered if they can indicate a UK registered charity that is able to receive funds on their behalf. There are normally two funding rounds per year. The deadline for round two applications is 15 September 2017 (midnight). The Prince's Countryside Fund was established to support the sustainability and protection of farms and rural communities throughout the UK. The aim of the funding is to have a long-term positive impact on rural communities, helping those that live and work there to sustain the countryside by tackling key rural issues. Improving the prospects of viability for family farm businesses. Projects should focus on developing stronger, more sustainable farm businesses and other rural enterprises with the aim of halting the decline of the rural economy. Supporting Aid Delivery in Emergency and Building Resilience. Projects should support farm businesses, rural businesses and communities to plan for and recover from natural disasters such as flooding or animal disease. Groups that are considering applying under this theme should contact the Fund's Grant Manager to discuss their proposed activity in more detail. In addition, for the March 2017 round, there are specific funds available to help the rural communities affected by the recent flooding following a series of storms over the winter. The Fund is actively seeking applications from organisations that are supporting farmers, rural businesses and communities to recover following the flooding or projects that are focused on assisting the recovery and future resilience in these rural areas, particularly Cumbria, Lancashire, North Yorkshire, Herefordshire, Northumberland and Scotland. The deadline for applications is 13 April 2017 (5pm). No need to book, but they will be available to tell you about their current funding streams and what you can access. Groundworks manage the Tesco's Bags of Help scheme, and they are looking to find projects in Powys that can take part. Welshpool - We're coming your way! The beautiful setting of POWIS CASTLE! · how to reading charity accounts. N.B. This event isn’t just for trustees, staff members of voluntary organisations can attend too, as it’s all really useful information to know. Have you got a burning question you’d like answered? Would you like the opportunity to have a one to one with PAVO Development Officers? This is your opportunity. Come and meet with BIG Lottery too! Do you know how PAVO can help your organisation? Would you like to find out more? Come to our meet and greet to see how we can support you. N.B. Nid i ymddiriedolwyr yn unig mae'r digwyddiad hwn, gall aelodau staff o sefydliadau gwirfoddol fynychu hefyd, mae’r wybodaeth yn berthnasol iddynt hwy hefyd. Oes gennych chi gwestiwn llosg y byddech yn hoffi ateb iddo? Hoffech chi y cyfle i gael siarad un i un gyda Swyddogion Datblygu PAVO? Dyma’ch cyfle. Dewch i gyfarfod y loteri FAWR hefyd! Ydych chi'n gwybod sut y gall PAVO helpu eich sefydliad? Hoffech chi wybod mwy? Dewch i'n cwrdd a chyfarch i weld sut y gallwn eich cefnogi.